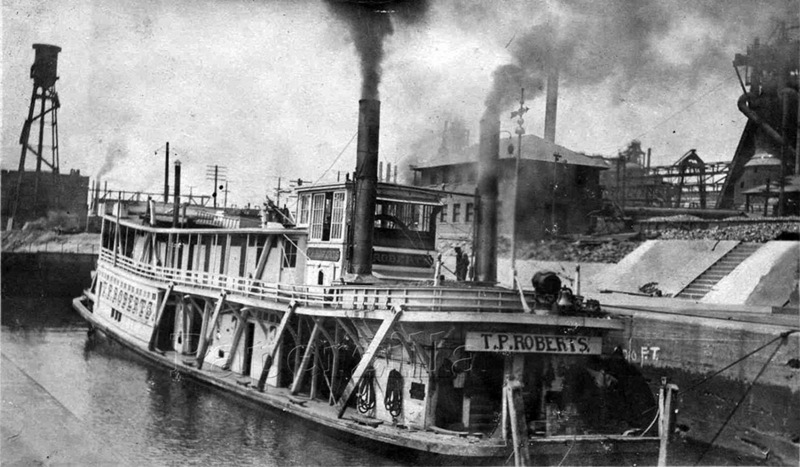 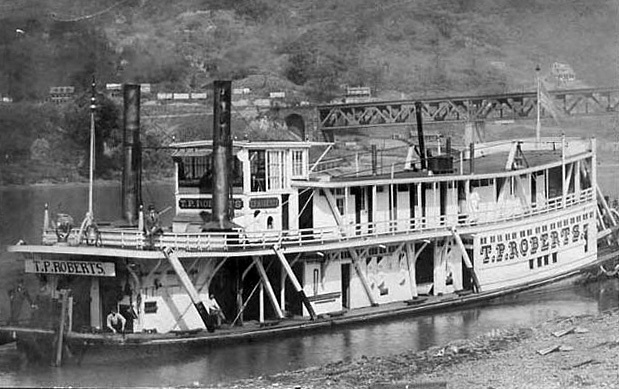 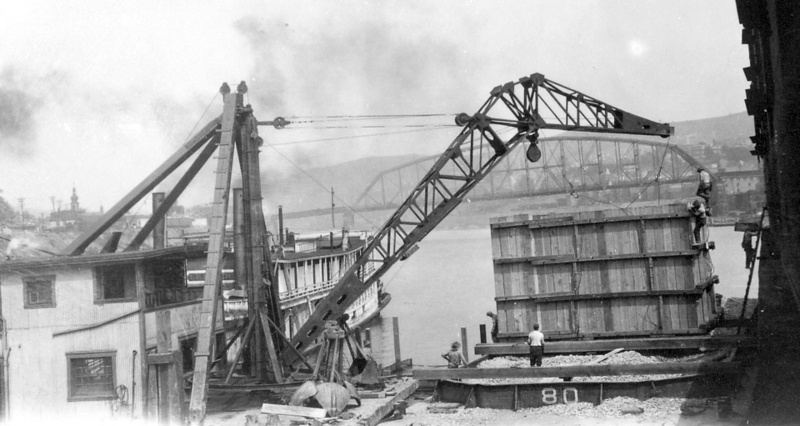 The Steamer T. P. ROBERTS, a U. S. Engineers boat, was at the Elizabeth Marine Ways twice. 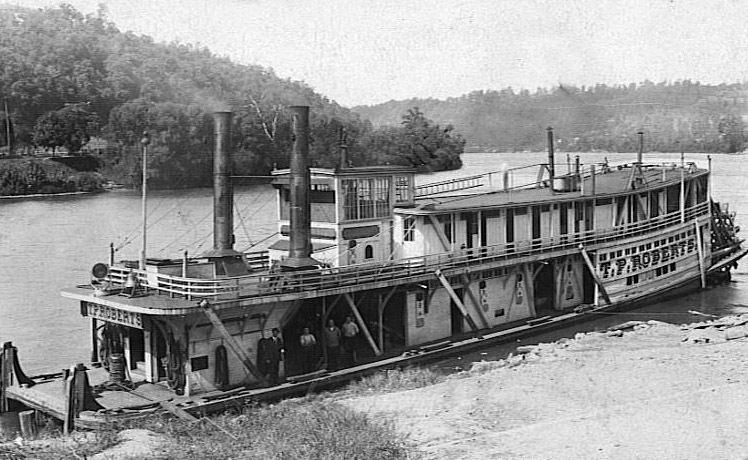 The initial visit was April 26, 1911 when JW had 12 men working on her. 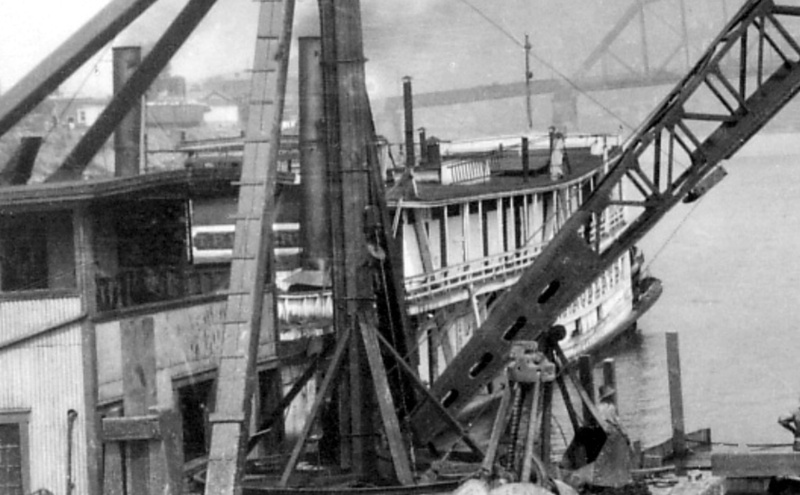 On March 29, 1913 and January 12, 1915 JW goes to inspect this boat at other locations, on July 7, 1915 he is on her while working at Dravosburg. 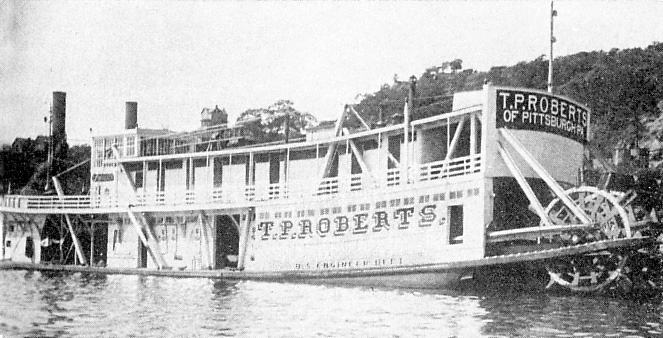 The April 12, 1921 trip to EMW by the T. P. ROBERTS was for general repairs and JW notes the Captain of the boat was Park Brenneman. 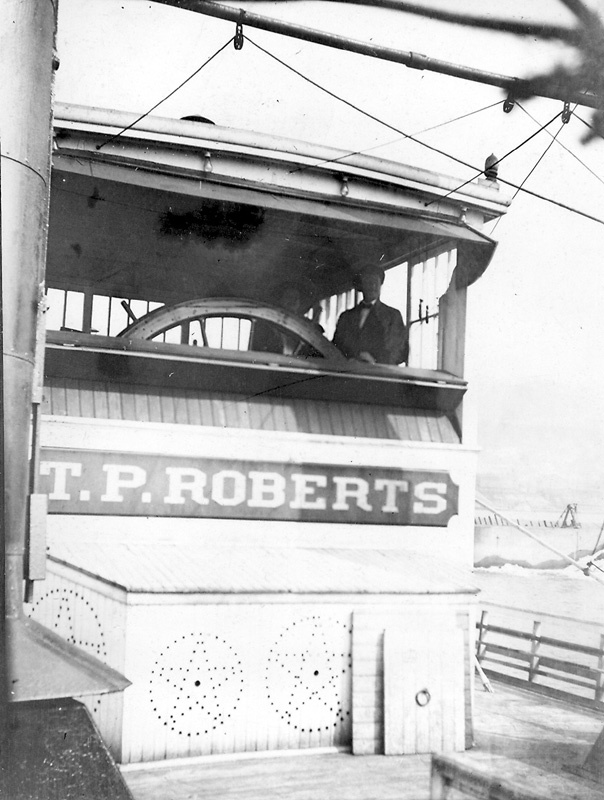 The photo of the pilot house, above top left, shows George Nutt at the wheel and Captain Brenneman behind.